Contact's PIN codes are located on the Contact record. Contacts should NOT share a PIN. Each contact should be assigned their own PIN. Caregivers, grandparents, baby-sitters, etc. 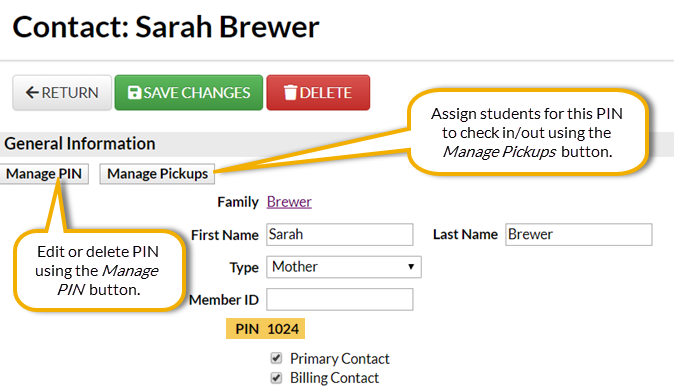 who regularly pick up a student should be added to a Family as a Contact and assigned their own PIN.